* in the detailed inlay the credits lists some more musicians as "additional musicians", but to KRR it's not clear if they actually play on this album. 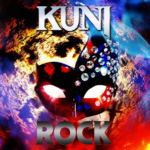 Twenty-fifth anniversary album release from KUNI featuring rare and unreleased (demo) tracks . 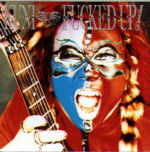 The Eric Singer related (demo) tracks are (probably) recorded in 1990 together with the songs that appears on KUNI " Fucked Up !" 2000 release.